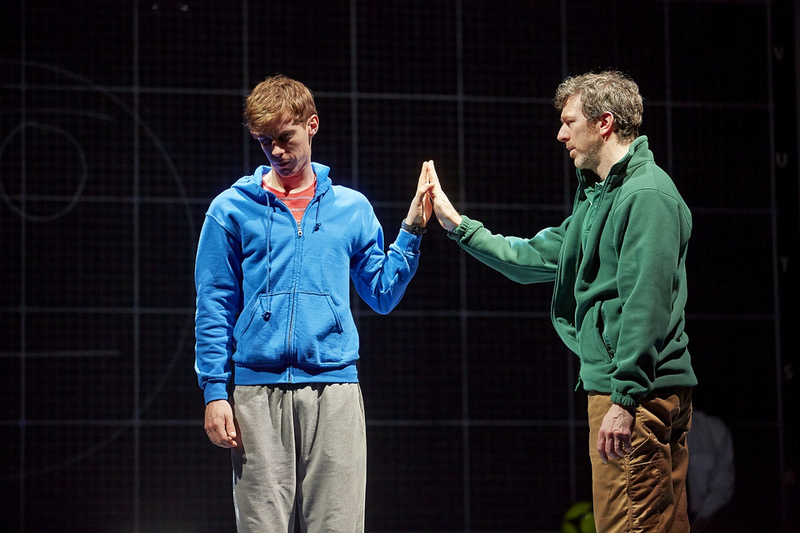 Mark Haddon’s novel “The Curious Incident of the Dog in the Night-Time” tells the story of fifteen-year-old Christopher Boone’s quest to solve the mystery of who killed his next door neighbour’s dog. This doesn’t sound very interesting, you may tell yourself. But add the fact that Christopher is an autistic math genius who finds people confusing and you end up with a gripping, slightly disturbing but also heartwarming story of a boy who lives in his own world and who is trying to make sense of all the strange things happening around him. In the stage adaption Luke Treadaway takes on the ridiculously difficult task of portraying Christopher, a boy with a total lack of self-awareness and no comprehension of the world around him. And what a performance it is! He just won an Olivier for this role and I couldn’t think of anyone more worthy of the award this year. Luke Treadaway manages to bring the audience into Christopher’s world. It’s a world where metaphors don’t make sense, prime numbers are superior, the colours yellow and brown are bad and any person’s touch is just impossible to bear. Luke portrays a teenager who is strange and funny and brave. We pity him and we feel for him but at the same time we realise that he himself is pitiless. He lacks any sentiment. He will never truly love his parents who have split up because Christopher’s mother couldn’t handle the extreme challenges of Christopher’s situation. This role is without a doubt a challenge both physically and emotionally – I can hardly imagine how hard it must be to dive into the world of Christopher day after day and to bring this boy to life in front of an audience. Beside Luke Treadaway’s performance the set and staging is the highlight of this show. Basically a huge black paper box the set gives an insight into the overload of Christopher’s mind. It is indeed quite a simple staging yet also one of the most effective I have seen in a long time. 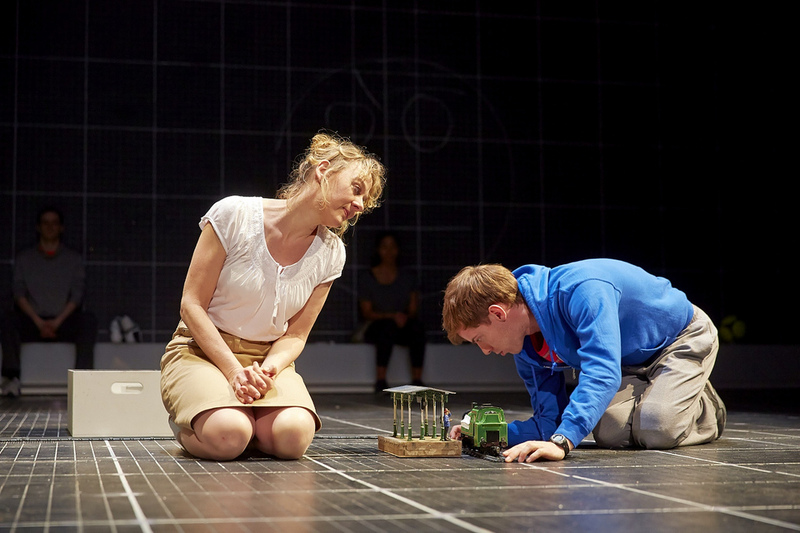 The story is mainly told through Christopher’s teacher, wonderfully played by Niamh Cusack. She often talks as Christopher’s inner voice and gives the audience yet another insight into his mind. The whole supporting cast does a fantastic job but there is no denying that Luke Treadaway is the star of this play. The clarity of Christopher’s thoughts almost make you uncomfortable. And Luke’s portrayal of this isolated yet in his own way brilliantly special boy is gripping and almost painful to watch. 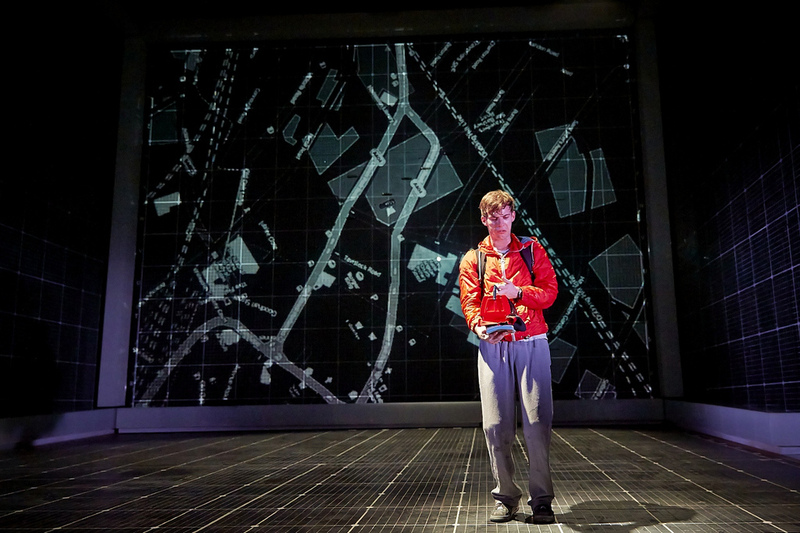 If you only see one play this year, please do yourself a favour and make it The Curious Incident of the Dog in the Night-Time. And although not necessary to follow the play I suggest you read the book first in case you haven’t done so already. It will make the whole thing even more haunting and fascinating. I’m planning a return visit already!